Lovely sterling silver and gold stackable ring with green fancy sapphire. 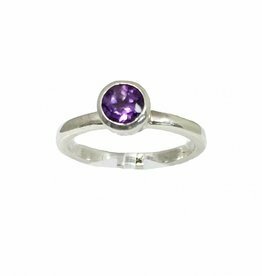 This ring combines beautifully with one of the other stack rings with fancy sapphires or other gemstones. The diameter of the natural sapphire is about 3 a 4 mm. 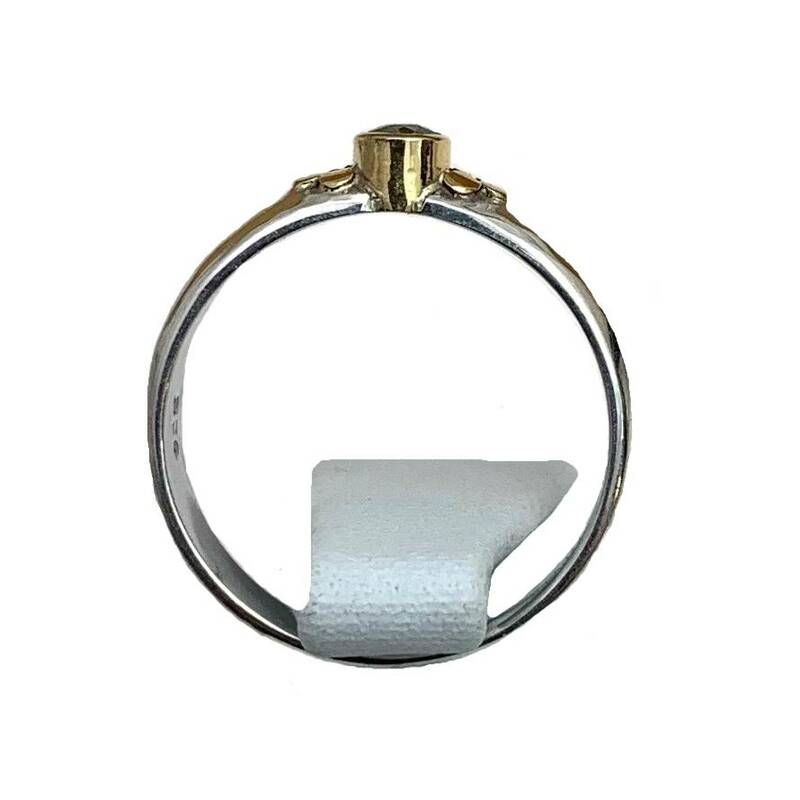 The ring is available in the size 53. 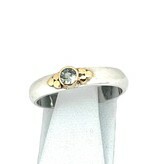 The ring is made of sterling silver and the casket of the sapphire and the dots are made of 18 carat gold. 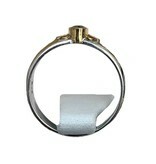 The ring is specially handmade for NJAmsterdam by our silversmith in Bali.